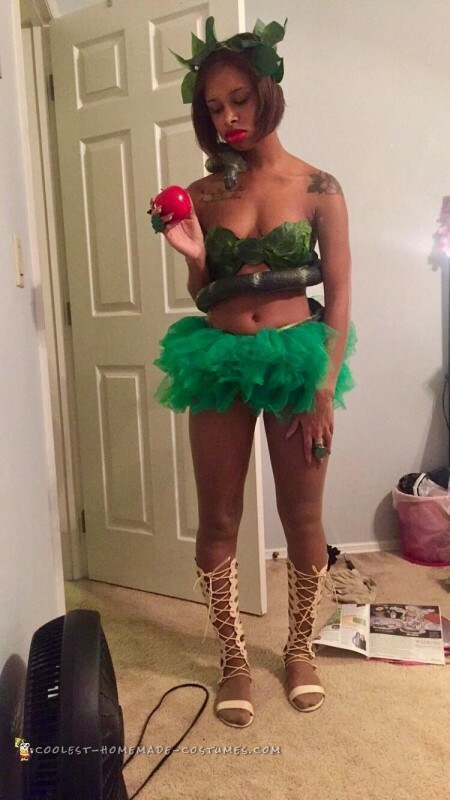 For a while, I’ve been dreaming to be Eve for Halloween. 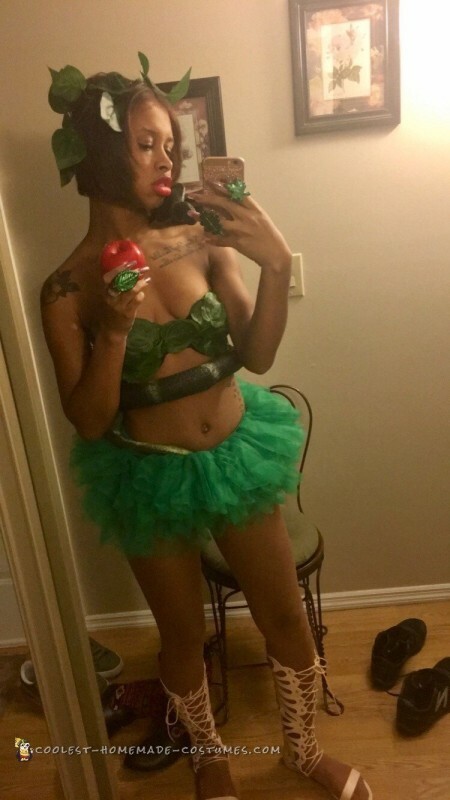 I looked online and couldn’t find an Eve costume to buy so I had to make my own! It was really hard finding everything. It took me like two weeks to get everything together, but today was finally the day I got to put it on. It was an exciting experience, I know my costume isn’t basic and I know for a fact that I will not run into anyone with the same exact costume! So I’m happy about that. I went looking for a leaf headband. I needed a tutu, you can add leaves to it, but it depends on you. I needed some fake leaves to put on my old strapless bra. I found a red apple. Finally, get a snake. That was the hardest thing to find but it’s finally all together! I haven’t been to a party yet but I absolutely can’t wait to go to one to see reactions to my costume and to see if they’d now who I am dressed up as! !